Entry model could come in around $23,000, according to report. Volkswagen is set to launch a base-model, long-range electric vehicle for less than $23,000, according to a report by Reuters, a price that would undercut the long-awaited entry-level Tesla Model 3 by more than a third. 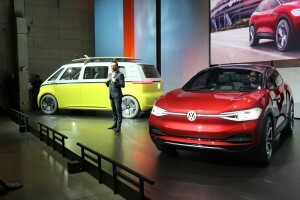 Initially reluctant to enter the electrified vehicle market, the Volkswagen Group has now laid out an aggressive strategy that will include more than 40 all-electric models, as well as dozens of hybrids and plug-ins, for sale through its dozen different passenger vehicle brands. Meanwhile, the Wolfsburg-based carmaker is in discussions with Ford Motor Co. that could see them cooperate on EV development. Like other mainstream carmakers, VW hopes to directly target the current industry leader in all-electric vehicles, Tesla. 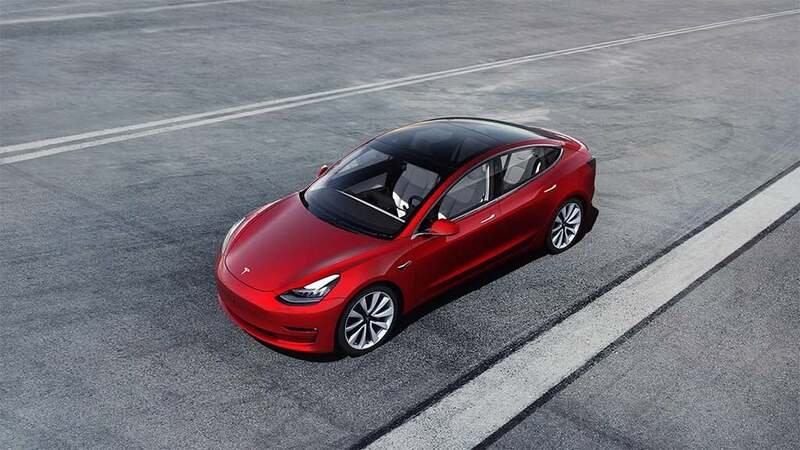 The MEB entry appears to be smaller and offer less frills than the California carmaker’s own entry product, the Model 3, and is likely to be more in line with the Nissan Leaf. Even so, it could find broad appeal, several observers suggested, by coming in at a price that even buyers of conventional, entry-level gas or diesel-powered vehicles could afford – if it offers a large enough battery pack to eliminate the dreaded “range anxiety” that surveys have shown to be one of the market’s biggest barriers to entry. VW is looking to undercut the Tesla Model 3 with a low-cost, entry-level offering, rumored to be named I.D. Aero. When it introduced the Model 3 in 2016, Tesla promised to offer a base version starting around $35,000. But, when production launched in July of the following year, the lowest-priced model started around $45,000. Tesla recently announced a less expensive version that CEO Elon Musk claimed would have a “true cost of ownership…closer to $31k after gas savings.” But that was after factoring in a $7,500 federal tax credit, as well as California’s state credit and what Tesla estimated to be about $3,000 in energy cost savings over the life of the vehicle. Take those figures out and the new version of the Model 3 still starts at about $40,000. And Tesla’s math counts on the company being able to retain the federal tax credit. But the company recently crossed a sales threshold that is expected to see the $7,500 incentive cut in half come Jan. 1, 2019. It will drop again by half in July of next year and be eliminated entirely at the beginning of 2020. VW is so confident of the appeal of the MEB entry model it is tooling up three factories to produce it, according to unidentified sources quoted by Reuters. The wire service said another new model, dubbed I.D. 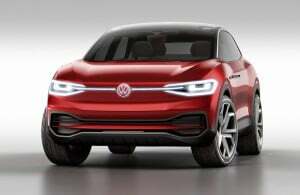 Aero, will be assembled in a plant currently producing the Passat, a conventionally powered midsize sedan. It is unclear if plans also call for production of the Aero at the automaker’s Tennessee factory. That plant currently assembles both the Passat and the new Atlas sport-utility vehicle. The I.D. Buzz minivan, meanwhile, will roll out of a plant in Hanover currently assembling VW’s T6 van. The I.D. Buzz, left, and I.D. Cross will be part of the wave of electric vehicles produced by Volkswagen. VW has not yet responded to TheDetroitBureau’s request for comment on the Reuters report. But senior company officials, including CEO Herbert Diess, have told this website in the past that the automaker is seriously committed to electrification at all levels. One reason is the damage done to the company’s image by the diesel emissions scandal that has so far cost it over $30 billion in fines, settlements and repairs. Diess recently said Volkswagen won’t abandon diesels entirely – though some of its brands, notably including Porsche, plan to phase out the technology and rely on gas and electrified drivetrains exclusively. Electric propulsion is seen as the only way VW and other automakers will be able to meet increasingly stringent emissions and fuel economy standards in key markets, notably Europe, the U.S. and China. But the cost will be significant, VW committing to invest around $25 billion just for batteries and other electrified components by 2025. It expects to invest tens of billions more on vehicle development during that period. The hefty cost of developing a technology that consumers have so far been reluctant to buy can cause night sweats for industry planners. That has resulted in a growing number of non-traditional alliances between erstwhile competitors. Last June, Volkswagen inked a memorandum of understanding with Ford Motor Co., initially intending to focus on joint efforts in the light commercial vehicle market. But several sources have confirmed the two are now discussing other options that include both electrified and autonomous vehicles. It is unclear exactly how the two might cooperate on the development and marketing of battery-cars, but a senior executive close to the talks has told TheDetroitBureau that a preliminary announcement is likely to come before the end of this year. This entry was posted on Friday, November 9th, 2018 at and is filed under Asia Pacific, Automakers, Automobiles, China, EVs, Electrified Vehicles, Europe, Executives, Markets, NAFTA, Personalities, Sales, South America, Technology, Tesla, Trends, U.S./North America, Volkswagen. You can follow any responses to this entry through the RSS 2.0 feed. Both comments and pings are currently closed.